Dog parks are springing up all over the place and are a great communal meeting place for owners and their pups. They are especially good for city and apartment dwellers who have little space at home. They give you and your pup a chance to get outdoors and to meet other dogs and their owners. Dogs can run around off leash and play and socialize with other dogs. Exercise is important to the health of dogs. A daily or even weekly romp in the dog park can improve health. Activity increases blood circulation, helps prevent obesity, and improves overall well being. Socialization is important as well. 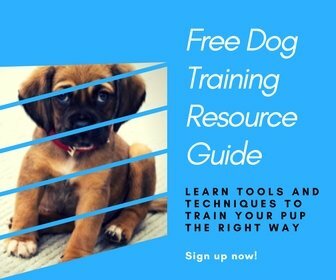 Both puppies and adult dogs can learn to interact with other dogs and people and gain confidence through new experiences. Dog parks can also be a great place for playing Frisbee or training with distractions. Most have drinking water for dogs, grassed areas, and play equipment, as well as tables and chairs for you to sit at. Dog parks are usually run by councils and are fully fenced to enable your dog to run off the lead. As great as dog parks can be for dog owners, they can be dangerous if a few simple rules and common sense are not followed. Not all dogs are gentle, fun-loving creatures and not all dog owners are responsible souls who have control over their dog. Fights among dogs can easily break out when dog owners do not understand dog behavior. Dog fights can range from short squabbles to serious, deadly battles. For a safe and enjoyable visit to the dog park, a little caution is necessary. Follow the guidelines below and your trip to the dog park will be safe and enjoyable. It is a good idea to visit the dog park a time or two first before taking the dog, to get a feel for the people and dogs who go there and how it is operated. Not all dog parks are created equal. Some are small, some are large, but a good dog park will be clean and completely enclosed. Check that the fencing is secure in all areas. Look for a double-gated entry to prevent dogs from escaping as others enter. Separate areas for small dogs and large dogs should be designated. Definite rules should be prominently posted and possibly someone will be on duty for security during peak times. Baggies and water may be provided but if not, dog owners should always take their own. In planning a trip to your local dog park, consider the following to make sure you and your dog enjoy your time with other ‘dog people’. Is Your Dog Ready for a Public Dog Park? Don’t take your puppy to the park until he is ready for it. Here are a few general rules to help you determine whether your dog is ready for a trip to a public dog park. Your dog should be vaccinated, healthy, and free of disease. Be sure to get the “all clear” from your vet for your pup to venture outdoors and interact with other dogs. Make sure your dog responds to basic commands such as come, sit, and stay. Don’t start your dog training at the dog park. This is important if you need your dog to come to you straight away to avoid problems with other dogs and people. Your dog should be trained to comfortably walk on a leash first. Make sure your dog is not easily distracted. It is very important that your dog is not aggressive. If you have a dog that is likely to be aggressive or has problems with socialization, it is best not to take it to a dog park. Dogs who are new to dog parks should be kept on a leash at first. For maximum control, you should not take more dogs to the park than you can properly control. One or two is probably best. Do not take young children unless they can be closely supervised at all times. If you are too busy watching the kids you won’t be watching the dog. Before entering check out the park to make sure that all dogs are behaving and under control. If it seems like there are too many dogs that are a bit unruly you should give it a miss. Keep an eye on your dog at all times and not become distracted by your phone, reading, or talking. Make sure you know where your dog is at all times and what he is doing. If your dog is dominating other dogs or annoying other people take your dog away from the situation for a break and to change its focus. You should be able to understand your dog and recognize when he is displaying dominant or aggressive behavior. You should promptly pick up after your dog. Make sure you take bags to clean up after your dog makes a mess. Toys and treats should be used sparingly and responsibly so as to prevent fights. You can take balls and other toys for your dog but be aware you may lose them to other dogs in the park. If another person’s dog is behaving aggressively, dog owners can politely ask that person to gain control of the dog or, for safety reasons, they themselves should leave. If you are concerned about the behavior of another dog, tactfully approach the dog’s owner and let the owner know your concerns. They may not even be aware of what their dog is up to and will most likely appreciate being informed. Dogs should be offered plenty of water and be observed for heat exhaustion. Carefully follow all park rules. Most dogs will play well at a dog park and will sort themselves out in terms of who they will play with and how. Try not to be overprotective of your dog and let him get to know the other dogs at the park and find his feet (or paws) with some new friends. Before you know it your dog will be racing around with his new friends and you will be able to relax and chat with the other ‘dog parents’. This can be a great opportunity to share information about dogs and for you to make some new friends too. P.S. Help a friend with these dog park etiquette tips by pinning this!